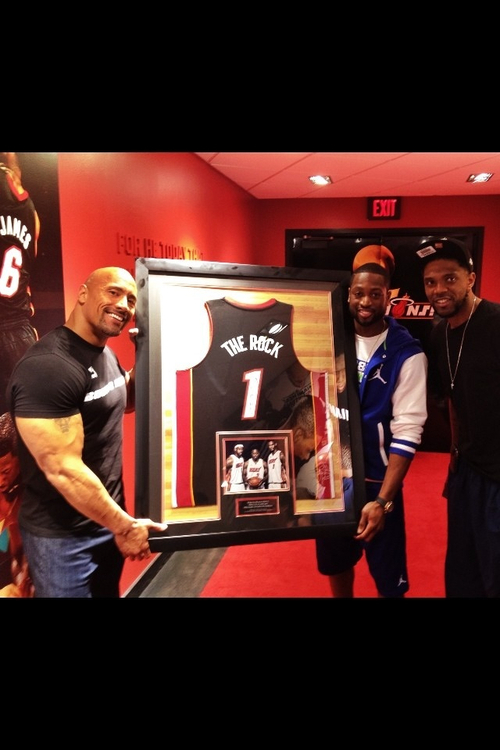 Dwayne Johnson with Dwayne Wade and Lebron James. . HD Wallpaper and background images in the Dwayne "The Rock" Johnson club tagged: dwayne johnson. This Dwayne "The Rock" Johnson photo might contain ملٹیپلیکس, مرکب, ہوم تھیٹر, home theater, home theatre, گھر تھیٹر, ڈاؤن لوڈ ہونے والے, مزاحیہ کتاب, منگا, کارٹون, ہالی ووڈ, and کامک بُک.